We promised to show you Jenni’s progress as she knits along with all of you in our fabulous festive knit-a-long, and here it is! We can’t wait to hear how you are getting along too – don’t forget to tell us in the comments box below! Whilst I was working the chart I noticed a slight issue with the positioning of the snowflake – in order to centralise the pattern we added a stitch, which made it an odd number to cast on. This means that the point of the centre star will now sit in the middle of the jumper. We have now updated the chart and you can download the NEW version by clicking on the link below. Look at my stranding! I really enjoyed knitting this as I knew it was going to make such a beautiful snowflake design! Here are pictures of what I have done so far, what do you think of the colour? Sublime Extra Fine Merino DK really is lovely to knit with! How are you getting on so far? Share your progress in the comment box below! Last updated: November 11th, 2014. I cant get the chart to print out .all i get is the grid but no snowflake chart ! not started yet awaiting yarn! Not to worry! We’ll still be here knitting away when you get your materials. Had to search the house for the right size needles! Found them and gathered together everything by 10pm last night then knit until midnight. I’m using King Cole Merino blend in scarlet and white as suggested and find it’s absolutely lovely to work with and handle. So o o soft and springy. After a few initial hiccoughs, I’m finding this an inspiring project. Thanks for the update! Glad you managed to get your materials sorted, so you could get started, even if it was late in the evening! The King Cole is a great choice, really easy to knit with. I absolutely LOVE these colors! They are so imaginative and look beautiful! I have finished my Back piece. Knitting largest size just in time for my 17 month old grandson. Really enjoying doing this project. Meant to say will be finishing just in time for Christmas and will probably make another. Knitting in James C Brett Baby Shimmer. Thanks LoveKnitting for getting the materials to me in time. I don’t like garter stitch so I’ve changed it to rib and changed the middle garter stitch to a stripe of shimmery white – will do the same on the hat. Looking forward to the next part. Don’t worry! You can get started whenever you like. You’ll even be able to benefit for the knitters who have already started for tips and tricks! I’m still waiting for my yarn to arrive. Will have to play catch up once it does. Everyone’s pictures look really good. I love seeing the different color choices. Yay! Mine looks like yours! It’s a fun project and I’m hoping that knitting along causes me to FINISH something! Others pics are beautiful! Lovely to “hear” the comments and see the photos. My yarn arrived Friday so I was delighted to start knitting last night. Have not done stranding before so wasn’t sure if I was doing it okay.. It seems fine though. I am using Merino DK in cranberry and white. It is lovely wool. I knit English style and am a “thrower” so I am finding the yarn twisting is slowing me down. Any tricks? Love the changes you made Hazjazmaz and the bright green and white colour combo Amanda. Haven’ t done enough to post a picture. Happy knitting! I think it would be interesting to know which country we all live in; anybody else like that idea? I live in Canada, province of Ontario. Thanks Hayley for your response. I think we would all be amazed if we did decide to share our locations. It is just so interesting how a passion for knitting can unite people from all parts of the world. I am currently finishing another sweater for my grandson ( which I have been procrastinating about piecing together) and will then focus on getting up to speed on the KAL. I’ m on row 14 of the chart. So hopefully a picture in the next couple of days. This is my first time stranding so am enjoying acquiring this new skill. It opens lots of ” knitting” doors. Hello Fellow KAL Members! I’m knitting in Byfield, Massachusetts, USA. I’m knitting the 0-3 month size in the King Cole Merino. This is my first KAL and my first stranding project. As someone else previously commented I find that I was holding the white too tightly so that the snowflakes are a little puckered. I hope this will look ok when I block my project and will try to knit more loosely on the front of the sweater. I had planned to complete this sweater and then make another in a larger size but since I completed the back of the first sweater this morning I will cast on for the larger size now and knit the sweaters simultaneously throughout the KAL. Love other knitter’s various colors! Thanks for sharing your location Pam. I am curious where we all live. You are much further ahead than I am in the KAL but I will catch up soon. This is my first stranding project too. Your knitting looks great, I have two other sweaters for my grandson on needles so I am sharing my knitting time between projects. I am enjoying this and as I have taught myself to knit its good to get help and hear that I’m not the only one having problems.I haver knitted anything like this before and forgot to twist the threads every 3 stitches so I ended up having to rip it out, then I held the white to tight so the icicles were puckered up. I have started it up again and I am half way through the icicle and it looks ok this time so will continue on and send pic when I’m finished. My yarn came a few days ago and I finally had time to start it last night. I’m working with the bamboo blend. It is really lovely to work with. I’ve done stranded knitting before but it’s bee a while. I seem to knit two or three rows and then pull out at least one. I’m finally on track and have a flow going. I knit continental so once I got my rhythm down I seem ok. I love what everyone is doing with the different colors and design changes! I’ve knitted a variety of items over the years but oddly enough, never a sweater. I love how this piece is forming and I’m excited to get this part done so I can be ready for the next. I’m making the 0-3 months as my daughters baby is due December 12. I’m from West Linn, Oregon. I have just finished the back. Using stylecraft dk in lipstick. It is a little puckered, blocking should sort it out I hope. Well done Andrea! This looks wonderful, thank you for sharing with us! Oh and I ordered the Wendy merino from loveknitting and it is like “butter”! Love it! I have just got past the snowflake pattern and my stranding looks just like Jenni’s, thank heavens! The quality of my knitting is not as good but I’ve learned about stranding and twisting so I’m proud of the result. Wish I could find my camera and my row counter which both seem to have mysteriously gone astray. The King Cole merino is lovely to knit with too and being machine washable is an added bonus. Wish I had checked the blog for the chart update before starting but I made the best of it ( and a couple of counting mistakes which I corrected!) I am looking forward to the next part of the KAL & hopefully can add a snapshot if my memory improves. Great to hear it! It’s so wonderful that you have learnt a new skill, which is really what a KAL is all about! We are very sorry about the mistake with the chart – we know it’s a pain but I am very happy that you have managed to overcome the mistakes. Not long now until the next part! Hi, just found love knitting while searching for heavenly rowan kid-silk haze to knit my own winter woolie. Delighted to find such a lovely pattern and have my first grandchild to knit the Xmas set for. May try cream with a red snowflake. When is next pattern instructions coming out – can’t wait!! I am knitting at about 100 miles per hour! My best friend has two new grands, October babies, and I am knitting a set for each. Of course, I can’t leave out big sis, now three, so I’m making one for her, too. She’s a wee thing, so I’m knitting the largest size, but bumped up the needles to sizes 5 and 7. I took the bottom measurement that resulted, and did a little proportional math to get the size right. Hi everyone, I’m knitting in Sydney Australia. I use Morris Avalon 8ply cotton yarn for the hot weather here. This is also my first KAL and color stranding project. It was a fun and exciting experience to me. Now I have finished the back fit for a 9 month old baby. I found that the main challenges using cotton yarn was to keep the tension even and to prevent the pull of the yarn when switching between colours. I hope you all like what I have shared and I look forward to the next part of the project. Hi everyone, just returned home (to County Durham in the North East of England) after visiting my new granddaughter for a few days. She’s thriving. Have decided I should be knitting next size up for her so this morning I unravelled the back of the sweater — quickly — before I could change my mind!!! Feeling encouraged as I catch up with your postings and read what you’ve all been doing. Thanks. I have just finished the pattern part. Few more knitting rows to go then finished part 1. Having bumped up the pattern to fit a 2-3 yr old in blue and white. I have finished the back so am eagerly waiting for the next episode! I’ve never done stranding before so it finished up a bit tight in the patterning phase but hey its all a learning curve isn’t it? I have just noticed I have made a mistake in the beginning row. I am left handed, do you think that is why I did that? My ribbing doesn’t look like yours. Hi, I do loads of knitting but never participated in anything like this before. I have loved the first part making the set for my youngest granddaughter. I am looking forward to part 2. I found the chart and instructions so far really good. That’s great, I’m pleased you found the patterns and charts easy to follow. Once your granddaughter has one the rest of the family will probably want one as well. Still a few rows to go but here is my attempt. Although I’m not knitting this with anyone in mind, I like the Christmasy colours and wanted to have a go at fairisle knitting plus I like the concept of the knit along. Like a lot of people I learnt to knit as a child but only just picked knitting up again last year so consider myself a novice. I chose the Sidar yarn from the recommended list as it was quite cheap and probably this item won’t be worn – unless it fits on someones teddy. I got the tension a bit wrong on the pattern and so it is quite narrow and it has puckered a bit here. Not sure why this is, maybe a tugged the twisted yarn to tight at the back. Anyway, overall I am pleased with my first attempt and enjoying the knit-along. You’re right, it’s a great opportunity to practice your knitting techniques, regardless of whether you have some to knit it for. Maybe it will give you the confidence to knit something bigger with the stranding technique! I think your attempt looks brilliant, if you block the jumper at the end it should even it all out. Looking forward to seeing the rest of your progress! Speedy catch up yesterday when I reknitted the back of the garment in a larger size. Although the knitting is not quite so even due to the crinkles in the wool, I’m glad with the actual decision I made. Enjoyed reading your post Emma and hope your lovely sweater finds a good home. Looking forward to part 2 and the interesting detail. Attempted to upload an image of my work but can’t because the ‘image is too large’ – will work on this later! Beautiful image Mary and such lovely knitting! Well done. Any crinkles can be evened out with a bit of blocking at the end! Should I have carried the strand to the end of each row? I only carried it 3 stitches after the pattern then picked it up on the next row. The stranding only needs to be done until the end of working two colours. As you quite rightly say it white is picked up again on the next row. Purchased Wendy merino yarn from suggested list for the Christmas knit a long. I cannot get it to correct tension. I was told yarn was to thick for the sweater. Very disappointing. Do not have a yarn shop nearby so project will not be a gift for my new grandson. Sorry to hear this! It seems strange as the tension should be exact. 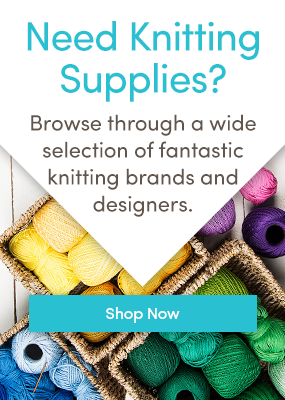 Which yarn did you order? Part 2 will be with you very shortly-looking forward to hearing how you get on. Just started the sweater. Why does the chart only have 58 stitches for the large size when the pattern calls for casting on 59 stitches? The updated chart has 59 stitches in the chart you can download it from the button above. Can anyone recommend a good YouTube video that will show me how to twist floats for both knit and purl sides – I knit fair isle with one hand and all videos I’ve found so far have been for two handed knitting. Many thanks. finally managed to start on this – hopefully I’ll be able to catch up to you all! Anyhow – does this look like I’m twisting the yarns ok? The loops at the back don’t look bad do they?